The day before his inauguration, Barack Obama set an example for the American people by doing community service. Visiting wounded soldiers, painting a wall at a teen shelter, and visiting other volunteers, he modeled before the nation his “call to service”. I feel so proud of those of us who are dedicated to Montessori education. After all, we've been teaching service and service learning all along. We model and teach our Montessori students to be stewards and caretakers of the Earth and its inhabitants. By doing so, we create caring, empathetic students who are capable of thinking beyond themselves. It was Dr. Montessori’s vision that a peaceful world, created by children, would make the world a better place. 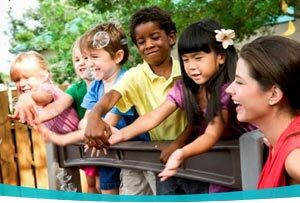 Montessori teachers know that by performing community service, we are helping develop and educate the whole child. Students learn the joy of giving of themselves, and develop compassion because of these real, practical life volunteer experiences. Community service projects can be accomplished at all levels and in all age groups in the Montessori school. Louise Seabrook Knisley of the Montessori School of Anderson, South Carolina suggests that Primary and Lower Elementary students are capable of visiting residents of assisted living facilities. They can make holiday cards, bake cookies or bread, and make special art projects and decorations for their new friends. They can also take part in food, toy, personal hygiene, or coat drives. Doing so teaches them that although they are young, they can and do make a contribution to their community. Upper Elementary Montessori students function more independently. They can read to or listen to younger students read. They act as tutors and mentors for younger students, keeping Dr. Montessori’s vision of peer learning alive. Upper Elementary students also have the ability to embrace greater responsibility in their community service efforts. They can volunteer at soup kitchens, food banks, and animal shelters. They can help rake or shovel the yards of elderly neighbors. They can help with Special Olympics or similar events. They can adopt a family in need and assist them throughout the year, not just at the holidays. They can plant gardens and flowers to share with those less fortunate in their communities. They can paint murals over walls defiled by graffiti. Youth learn by observing the world around them. Therefore, it is important that adults model our commitment to giving back to the community. Adults should take an active role to involve their families in their communities in addition to what students do in school. I have previously written about the types of service learning and community service projects I have done in my own Montessori classrooms. Through our efforts such as a personal hygiene products drive to help the victims of the California wildfires to baking cookies for a local Ronald McDonald House to making quilts for Habitat for Humanity, I have seen great personal growth in my students. Their compassion for those around them has grown exponentially when they give of themselves. 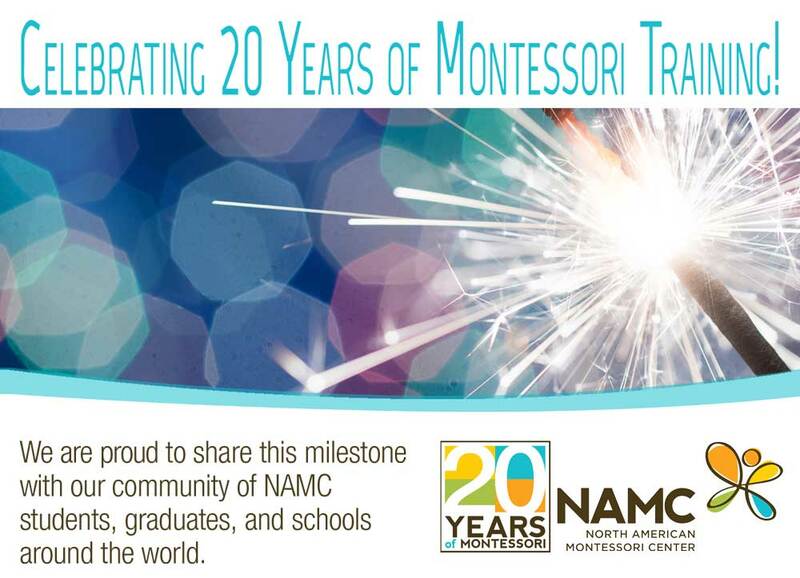 As a tutor for NAMC, I continue to read about the wonderful community service projects that Montessori teachers and students around the world are doing. Each time I read these stories, it warms my heart to know that young people around the globe are doing so much to make our world a better place. It is our wish that every child grow to be good citizens of the world. It is up to us as Montessori guides and teachers to teach and model global thinking for our children. Mr. President, we Montessorians are up to your challenge. NAMC’s Lower Elementary Five Great Lessons / Cosmic Education & Peace curriculum teaches community awareness, cultural awareness, environmental awareness and much more. © North American Montessori Center - originally posted in its entirety at Montessori Teacher Training on Thursday, January 29, 2009. Thank you, Debbie, for the information on the Amman Imman project. I'm sure our readers will be interested in finding out more about this collaborative project.